This Microsoft Unity Tutorial will aim to make is easy for the uninitiated to work with Microsoft Unity. Unity is a dependency injection container. The best source for Unity remains the developer guide which is also available as a free eBook download. I will strongly recommend that you get a foundation on Inversion of Control(IoC) and Dependency Injection(DI) first. BTW For the people who came here looking for Unity gaming engine, well Hello. You were maybe looking for this. UPDATE: Well I thought that Unity was dead. Not so. It is back in active development and at the time of writing, version 5.8.6 is available as nuget package. Well if you go through the posts I wrote on the IoC and DI, then you will have a good understanding how they help in writing good maintainable software. The reason for writing this Microsoft Unity tutorial is that there are not as many web resources on Unity as I would like. This of course has to do with the fact that there more popular DI containers like Castle Windsor. Unity is not that well known. But since I was working with Unity, I decided to write a small tutorial to make it easy for the new users to ramp up rapidly on Unity. Unity can be used in many ways. This Microsoft Unity tutorial will show Unity in action via small code snippets. There are two stages of using Unity. 1. Telling Unity how to create an object of a class which is implementing a particular interface. This stage is called “Registration”. 2. Telling Unity to create the object. This stage is called “Resolution”. 1. Registration of all the types should happen in a single method, typically at the start-up of the program. 2. The code should be decoupled from the injection container used. In simple terms it means that the Unity reference should appear in the method which does the registration and and in the main method where you might have to pass an instance of Unity container to the registering method. Rest of the code should be oblivious to the fact that Unity is getting used. I will dig up my old Radio example again. And the Battery.cs implementing this interface. 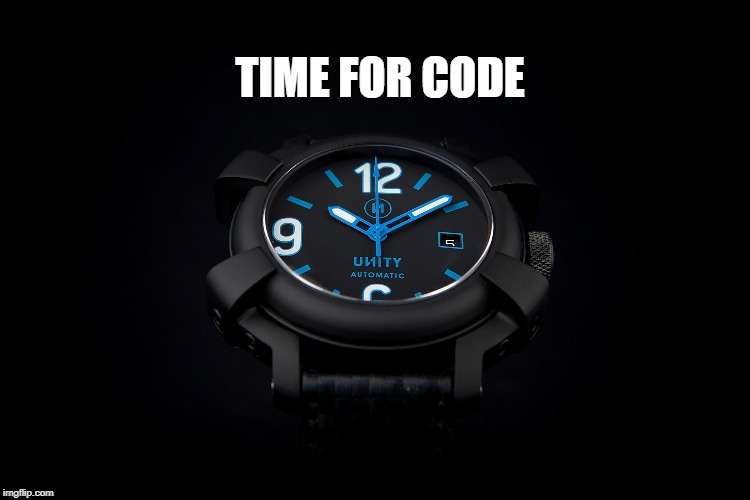 To demonstrate how Unity works with just a class I will throw in a Dial.cs class in the mix also. To demonstrate how Unity deals with creation of objects whose constructors take parameters I will have a Radio.cs too. And here is the interface IRadio.cs which the Radio.cs is implementing. And now once we have the basics, its time for Unity. I have imaginatively named this class ContainerMagic.cs and here it is in its full glory. There are many things going on in this. Lets go through the important lines. * Line 07 : True to the tradition of the dependency injection, we pass an instance of Unity container to the RegisterElements method. * Line 09 : Here we create an object of the Dial. A single instance of this guy is in the container. And container will return the same guy at all the places where that instance is requested. This guy is going to be shared. I will talk more about that later. * Line 10 : We RegisterInstance this object. In other words, we tell Unity to return this object whenever the client asks for an object of type Dial. * Line 12 : We RegisterType the IBattery with Battery. We are telling Unity to create and return an object of type Battery whenever the client asks for an object of type IBattery. * Line 17 : This is special. We tell Unity to create and return an object of type Radio whenever client asks for an object of type IRadio. The catch here is that Radio constructor needs parameters. So we use InjectionConstructor to tell Unity what are the types of parameters the constructor of Radio takes. See how the last parameter (which in our case is a string) is specified. And here is client code. * Line 10 : The client has to new up a UnityContainer instance. * Line 13 : After the registration method has been called, you can demand an instance of IBattery and Unity behind the scene will create an object of Battery class and return it. * Line 16 : Here Unity is resolving a class rather than an interface. It will the Dial object which we had created. Not a very common way of using Unity. * Line 20 : Here Unity is resolving IRadio interface by creating and returning an object of Radio class. Remember that Radio constructor took parameters and we told Unity about it. Here we are passing the parameters. Notice that the name of the parameters has to match with the names we used when we registered Radio class with Unity. And the output is this. You can go through the code listed above to make sense of the output. I will wait. An interface usually is implemented by many classes. So when someone writes myUnityContainer.Resolve<MyDemoInterface>, how does Unity know which class object it has to create? Let us add one interface called ISpeaker to our sample. The changes to the ContainerMagic.cs will be these two lines. In our client code Demo.cs we can now ask the Unity to resolve the Interface to the particular class we want using the names we provided in the registration. This has to be the most common way of using Unity. The registration code which we saw in ContainerMagic.cs is rather small. However it is a demo sample. In any project of significant size and complexity, the number of interfaces and implementing classes is rather large. In those cases the registration code can become huge in size. It is here that registration by convention is most useful. All you need is to make sure that the naming convention for the interface and implementing classes is maintained. For example, if interface is IBattery then the implementing class name should be Battery. Then Unity will automatically map the IBattery to Battery. To demonstrate it I will go back to the sample. The IBattery.cs, Battery.cs, ITuner.cs and Tuner.cs remain as such. What changes is the ContainerMagic.cs. What is happening here? MSDN is the place to go for details. But in short, Unity is examining the list of implementations it has and the list of interfaces it has. Where ever there is IDemo/Demo relationship, it creates the mapping. So that when IDemo object is needed, it creates an object of Demo type and returns it. The client code does not change. See how when object of type IBattery was asked for, Unity automatically returned an object of Battery class. This is because at the registration time, Unity had figured out that Battery.cs must be implementing the IBattery interface. This turns out to be of great value. Last project I was working on had 83 registrations in the container. Needless to say we used the registration by convention. And here is the output if you still are interested into. Registration by convention provides a lot of flexibility. Too many to be listed here. Better look in MSDN for all the details . However there are a few which are useful. Unity allows extra information to be added once the basic mapping between the interfaces and the implementing classes is done. And let the implementing class be Casing.cs. As you might have noticed, there is a subtle issue here. The constructor of the class takes a parameter. This information has to be added later on once the registration is done. The ContainerMagic.cs now looks like this. Here the line 15 is adding information to the existing mapping between ICasing interface and Casing class. It is telling Unity that when it creates the object of the class Casing for the interface ICasing, then it should pass the parameter “Plastic” to its constructor. This is a living tutorial. I will keep updating it as I get time. Should I have a reference to unity container to access registered objects? Usual practice is to create an instance of Unity container in main method and then pass it to the function which does all the registrations. Then you use that container instance to get (or in Unity lingo Resolve) the objects you want. So yes, you will need a unity container in your main code to access the registered objects. This is an excellent tutorial to get started with Unity. Thanks! I think you forgot to include IRadio.cs, but I was able to figure out what it should have looked like. You may want to add that. Exception is: InvalidOperationException – The current type, Radio.Interfaces.ISpeaker, is an interface and cannot be constructed. Are you missing a type mapping? I am a bit tight on time. Did not really test it out. So take this with a bag of salt. First try to post code using code tags. I think some of your code got lost due to formatting issues. I assume that the “Normal” type speaker is implementing “ISpeaker”. I will call that implementing class “NormalSpeaker”. And in your radio constructor you should have a parameter called “Normal”. Right now it is “speaker”. Thanks, it works!! the problem was the parameterName “Normal” instead of “speaker”!! Struggled with many other tutorials out there, but now I’m fine with yours! Thanks. Though I will like to add that Unity is not getting actively developed. And its place in .net core looks shaky. We are planning to move over to AutoFac. Unity is back in active development. They are now releasing packages for .NET core. Sweet. Thanks. Did not expect this one to be so popular!! Though keep an open mind about other containers too. Unity is not getting actively developed any more. Unity is back in active development. Woo hoo. How does Unity eliminates dependency? Ins’t the client code just using Unity for object instantiation. Client code works only with interfaces. In code sample you can see that client code knows about IBattery. It has no dependency on the actual class which will implement IBattery. Unity does the work of creating an object of type Battery when client demands an object implementing IBattery. I think if your read my posts on Dependency inversion and Dependency injection it might be more clear to you.